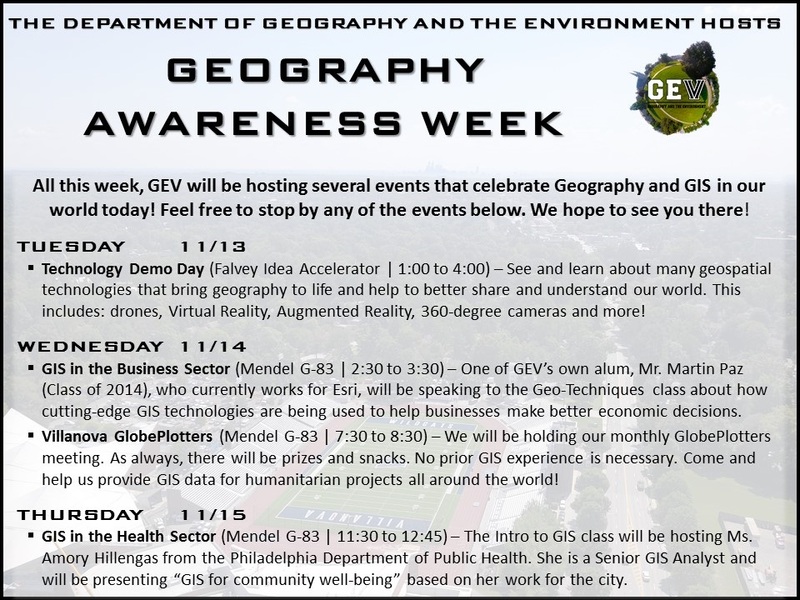 November 11-17 is Geography Awareness Week. To celebrate, the Department of Geography and the Environment will be hosting a series of events on campus. Check out the full schedule below! Looking for more geography resources? Contact Merrill Stein, Librarian for Geography and the Environment, Room 221 (Learning Commons), 610-519-4272. Email: merrill.stein@villanova.edu.